Lots of apps nowadays – from Google Now, to Foursquare, to Keep – rely on locational awareness (more commonly referred to as “geofencing”) to serve contextually sensitive information, such as the number of nearby restaurants and friends. That’s all good and fine, but those features typically rely on a combination of GPS, WiFi, and Bluetooth signals to function, which means using them requires sacrificing power. 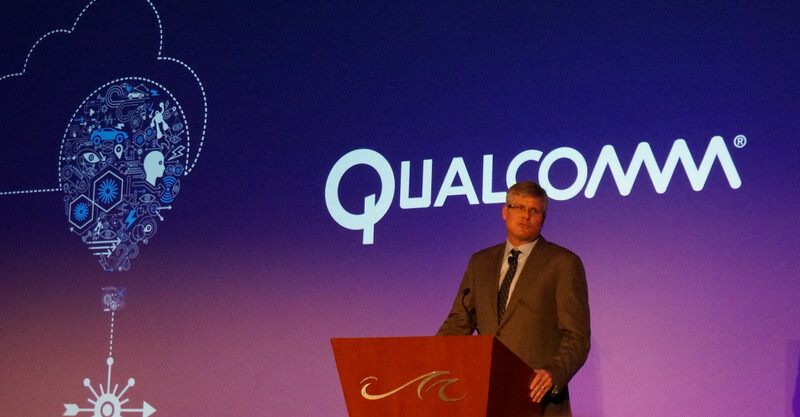 Qualcomm thinks it may have a solution in LTE Direct. The technology, a device-to-device discovery service, piggybacks on LTE spectrum to help smartphones and tablets – thousands of devices at a range of around 500 meters, to be precise – to exchange information. The chip maker states that LTE Direct has several advantages over technologies like Bluetooth, most important of which is battery preservation. Because the standard offloads tasks like timing and resource allocation to the LTE network, the impact on battery is minimal; devices with LTE Direct capability can wake up and search for each other “synchronously,” instead of pinging constantly. LTE Direct is also privacy sensitive, to a degree. Devices don’t reveal their identity or precise location to others. Because LTE Direct has much better range than competing standards and is platform agnostic, Qualcomm thinks it is well suited for applications in push advertising, searching, and loyalty services. It’s highly unlikely we will see LTE Direct deployed this year, as it is currently undergoing operator trials, but the technology’s possibilities are exciting, to say the least. Qualcomm will be showing off unique use cases for LTE Direct at a developers conference on September 18-19 in San Francisco.